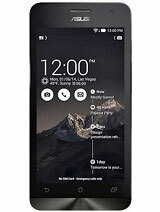 I want to buy this mobile, can anyone help me where I can buy mumbai or dubai? Is it official launched there? 3.install a 3rd party software like camera 360 ultimate...the camera become dizzy...what happen? biglama, 25 Jun 2014I bought this on 23 June 2014. Design is very beutiful, I'm so proud to recommend it to my fri... moreJust don't BUY Xperia T2 Ultra, yeah I admit I buy it because "13MP" camera and nice design. When I get the phone, I can say performance is good and UI is simple and nice but when come to camera and multitasking, it was a nightmare for me (lol). 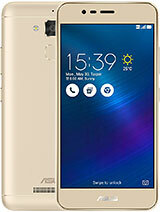 I'm not lying because I have used T2 Ultra, Zenfone 6 better in every aspect but disadvantage is ASUS. 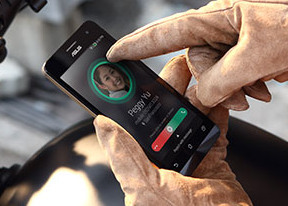 ASUS seem like they don't know what to do / what they do. 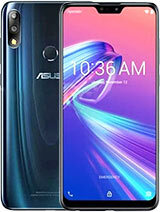 If ASUS step up their software update, then T2 Ultra is just overprice device. Overall I happy with my Zenfone 6, the UI really beautiful, good camera, signal average, whatsapp and wechat no problem so far, FB app can't open but I open FB using web browsing. 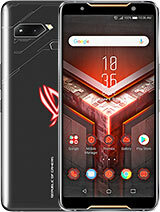 I recommend people to get this phone but please test it to make sure you get unit and first day using it battery maybe bad. You just need to charge it and you can get better and awesome battery life. biglama, 25 Jun 2014I bought this on 23 June 2014. Design is very beutiful, I'm so proud to recommend it to my fri... moreThe camera quality is better than Xperia T2 Ultra. I'm quite surprised with its performance in camera. Low light better than Xperia T2 Ultra. biglama, 25 Jun 2014I bought this on 23 June 2014. Design is very beutiful, I'm so proud to recommend it to my fri... moreBattery is the awesome thing with my Zenfone 6 lol. I can get up to 9 - 11 hours screen on time. I don't get any problem yet. Camera is better than T2 Ultra because I trade in my T2 Ultra for Zenfone 6 and I never regret it. T2 Ultra really make me stress with the camera and when I test Zenfone 6 camera, the result in low light and outdoor more good than T2 Ultra. T2 Ultra also low RAM, when I browsing and open 3 tab then it need refresh back. 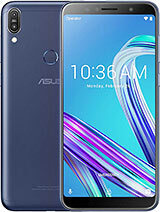 My Zenfone 6 can open to 9 tab and no need reload. Absolutely this phone is better than T2 Ultra in term of price, performance, camera but T2 ultra beter in design and battery. Unfortunately now, Asus giving an update that solve some problem and give another problem. 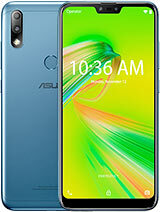 If Asus improve their software,firmware I can say this gonna be the best phablet with cheap price. biglama, 25 Jun 2014I bought this on 23 June 2014. Design is very beutiful, I'm so proud to recommend it to my fri... moreHow about the video quality ?? I bought this on 23 June 2014. Design is very beutiful, I'm so proud to recommend it to my friend. I bought a red color. The price already cheaper as RM699. Specs on the paper is very good. Test benchmarking using Antutu is 22700. I feel very satisfied. Then during the night, as i sit in the car, I start to unhappy when using it as the home, back button is not illuminated. Normally other phone button will illuminated during dark. So far for two days the battery cannot last until 6pm after every night charging. I believe the battery still new and need more break in process. Today the screen turn black out, and i cant restart untill several attempt. I believed its hang and screen black out. I cant install FB apps and only way to FB is using browser.Camera screen flickering during low light. Not much function. 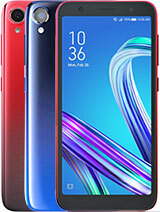 My suggestion to my wife, she better get Sony T2 Ultra if she is looking for beautiful 6 inch phone or get a Lenovo if didnt care about cheap looks. 1.problem with the flip case mode-screen turn black,cannot open.must use hard reset to switch it on from the sleep mode. 2.really poor wifi and telco signal...i put wifi about 5 meter only recieve two bar? 4.after connect to pc,the device will be a problem,screen turn black like problem flip case mode. 5.dual sim with the same telco problem with data connection...device read all apn and cannot delete default apn to input real apn for telco provider. AnonD-180456, 21 Jun 2014Guys.. 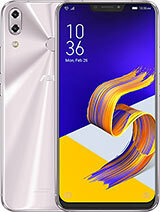 I know some of you guys oready bought this phone in malaysia, I just want to know, how ... moregot my zf5 at lazada malaysia for rm579 with free shipping.. not sure how much was zf6. 1st all i think this phone a great..yes,it so fun use this phone and the price are suitable for my budget..already buy it..now about 3 days i use the problem came..while use flip case mode,the phone cannot be turn on..it going dark..i have to make a force restart because this phone cannot take out the battery..today about 3 times same problem i have..really dissapointed and i have to claim a warranty..so for asus..make u sell a good item,not a piece of junk...and be more faster make a new update of kitkat version...this dual sim android ver 4.3 make a really problem on connection data with the same telco..
so for the facebook problem will be soft ASAP, because i plan to buy this model..
where did you bought ? really they have Facebook apps problem ?